Vintage - Aynsley Fine Bone China, England. 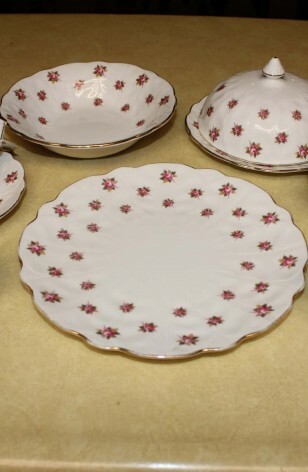 Scalloped "Rosedale" Pattern #13698, in Crocus Styled, Partial Tea Set. Circa 1930's. 1 - Cereal Bowl - 6 1/2"